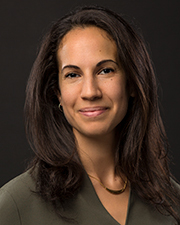 Developmental psychologist Sharon Wolf, an assistant professor in the Human Development and Quantitative Methods Division at Penn GSE, was recently selected as one of 11 Jacobs Foundation Research Fellows for 2018–2020. The Fellowship program’s goal is to improve the learning, development, and living conditions of children and youth around the world. The three-year fellowship is valued at $160,000. Chosen from a pool of more than 400 applicants, Dr. Wolf will spend her fellowship period examining ways to support early childhood development, early childhood education, and family well-being in rural Ghana and Ivory Coast. She plans to build on her past work with West African governments and NGOs to provide high-quality services to improve children’s development. Located in Zurich, Switzerland, the Klaus J. Jacobs Foundation is dedicated to facilitating innovations for children and youth. Fellows are chosen based on their research accomplishments, creativity, and potential to become leaders in the scientific community. When Wolf came to Penn GSE in 2016, she joined several other faculty members whose work is dedicated to enhancing the developmental and educational well-being of children facing adversity—both in the United States and abroad. Other Penn GSE scholars with international reputations for their research in this area include John W. Fantuzzo, Vivian Gadsden, Howard Stevenson, and Daniel A. Wagner.